Another school shooting today in Florida. YAWN. 17 people, mostly kids, dead; a bunch more injured. YAWN. The shooter was known to be a problem. YAWN. The shooter used an AR-15 assault weapon. YAWN. We now have about 1 school shooting every 2 or 3 days. So, join me and Governor Scott of Florida. And Senator Rubio of Florida.And President Trump. And the rest of Congress. Join me as we call for prayers. Our thoughts and condolences are with these children. And their families. Our deepest sympathy for the mothers who bore these childeren and will never see them graduate from high school. The fathers who changed their diapers and rolled around the living room floor with them. The brothers and sisters who fought with them, loved them, hated them and hugged them. Join me in prayers. Congress and the president and all the decent people in America must join together in a moment of silence. We feel their pain. It is awful. We must all cry together. We must all cry the crocodile tears. 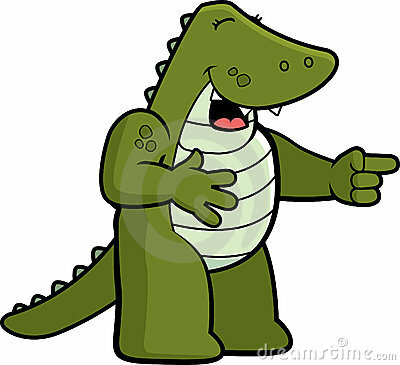 Doesn’t matter if it is Florida crocodiles or Connecticut crocodiles or Nevada crocodiles or South Carolina crocodiles. We all need to shed those tears. But don’t shed too many. Save some. Because next month you will need to shed them again. Don’t cry yourself dry. You may run out of tears, but you can always pray. The choice is clear. We can support the gun sellers, supported by the NRA. Or, we can keep our children safe with sane gun laws. The solution is clear. We must share the pain. We must stand with the victims. We must pray. And stand with Governor Scott who made this statement. After the mass shooting at Pulse nightclub that left 49 people dead and dozens injured, Scott responded to questions about gun control in Florida. “I’m not going to call a special session. The Second Amendment didn’t kill anybody,” Scott said. Fox News’ Pete Doocy asked Rubio if he thought it was appropriate to be discussing gun control after the events. To quote Rubio again: “How did they get a hold of a weapon ?? ?” I mean, who knows how? It’s a mystery! So. Let us cry those crocodile tears. And let us pray. Like the governor of Florida and Congress and the president, please feel the pain. Because it makes us sad. But oppose background checks. Oppose any ban on assault weapons. Oppose any national solution to a national issue. Stand with the NRA gun sellers. And shed those crocodile tears. Please print and save this blog. Tape it to your refrigerator. You can read it again next month when the next school mass shooting takes place. Very well said Joe. Make America Great Again?? ?